Let’s all come together for our favorite winter tradition. 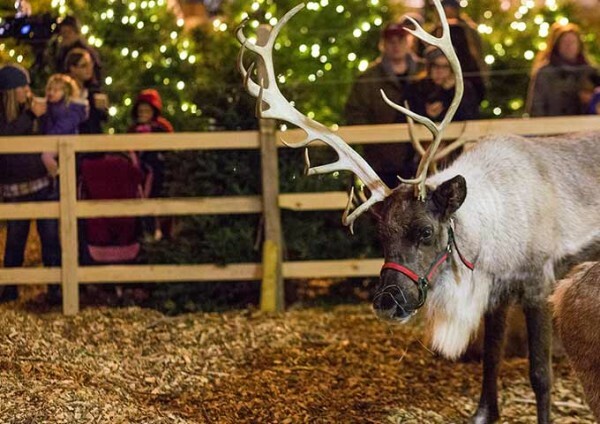 From forested trails of twinkling lights to visits with Santa and his reindeer, there’s magic to be found at L.L.Bean this holiday season. All activities are free unless otherwise noted. Please call 1·877·755·2326 for updates. Activities and times are subject to change or cancellation without notice. 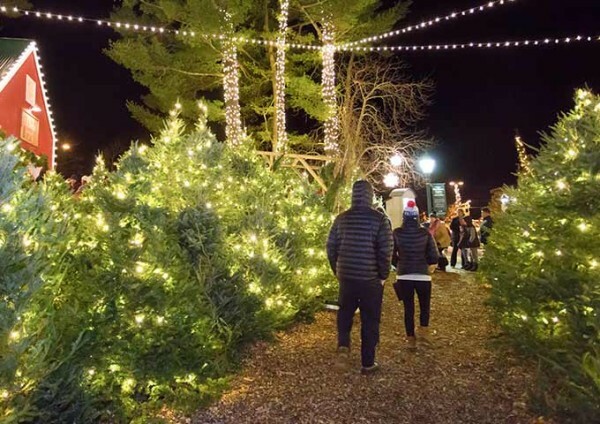 Follow the path through our forest of twinkling lights – and don’t forget to look up to see our giant Christmas tree, harvested from Maine and all dressed up for the holidays. At the end of the season, in the spirt of sustainability, all trees will be mulched and donated to Freeport’s Wolfe’s Neck Farm, where they’ll continue to enrich the earth and help it thrive. 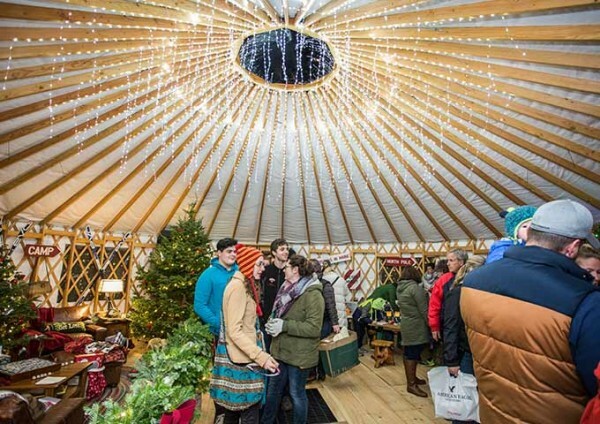 Visit out our festive 30-foot yurt – only at Northern Lights! Stop in after a long day of shopping and exploring to warm up and relax. 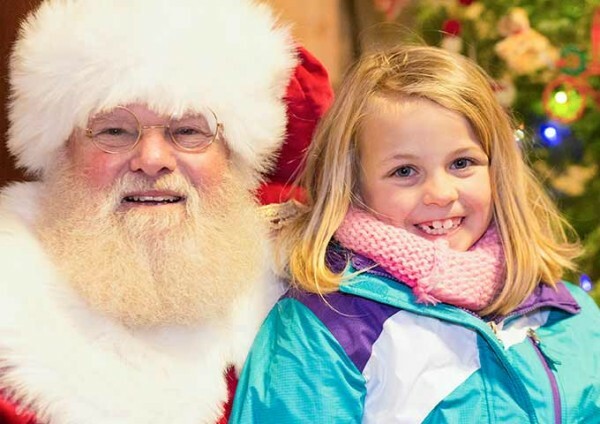 Fridays, 4 p.m. to 7 p.m.
Saturdays & Sundays, 11 a.m. to 4 p.m.
Bring the kids for a magical meet-up with St. Nick himself – he’ll be waiting to hear their holiday wishes in his post-and-beam workshop, nestled amongst the trees of Discovery Forest. How did Santa get all the way from the North Pole to Freeport? His reindeer, of course! Meet real ones from Maine right outside of Santa’s workshop. Head to the Kids’ department to see our idyllic miniature New England village, featuring our famous model railway. We’ll also have a letter-writing station, where your little ones can drop a note straight to Santa via our big red mailbox. 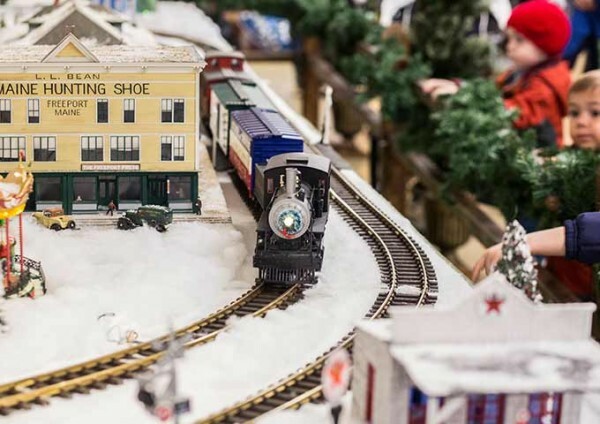 Saturdays & Sundays, Dec. 1-23, 3 p.m. to 6 p.m.
Take in Freeport village at a slower pace as you take in the festive light displays all along Main Street. 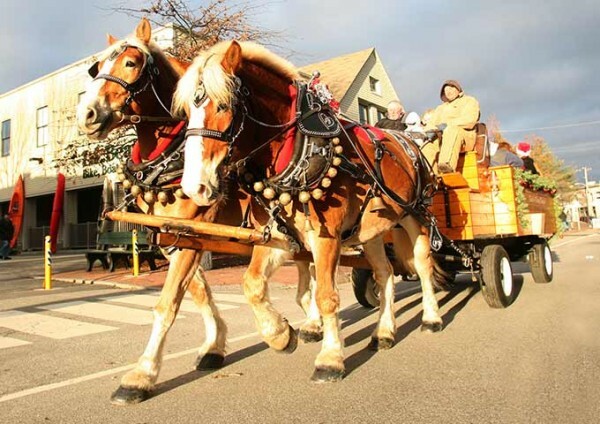 Wagons depart regularly from Main Street, in front of the flagship store. MONDAY, DEC. 31, STARTS AT 11 A.M., FIREWORKS AT 6 P.M.
Ring in the new year early with our annual event, a favorite with families. 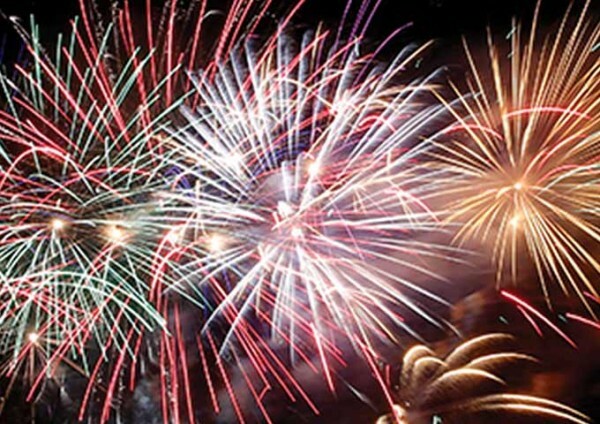 We'll have crafts and entertainment, followed by a free concert and a fireworks display – all before bedtime. November 16 through December 23 – all activities are FREE unless otherwise noted. 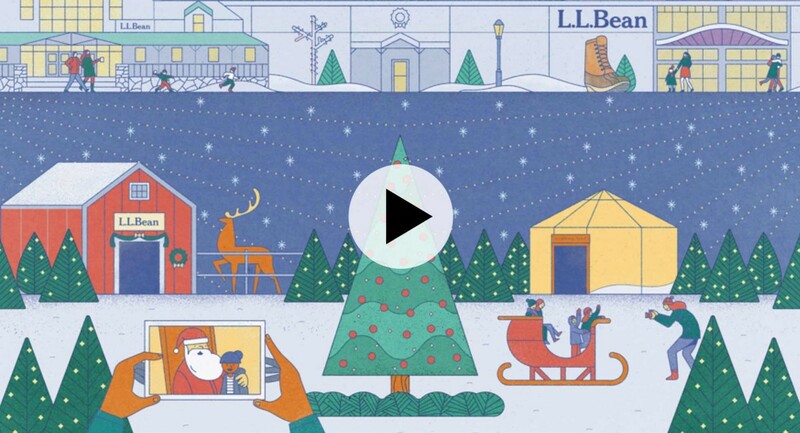 Visit llbean.com/freeport for our full schedule of holiday events. 12 P.M. & 2 P.M.
Our three favorite shots will win a $100 L.L.Bean Gift Card!